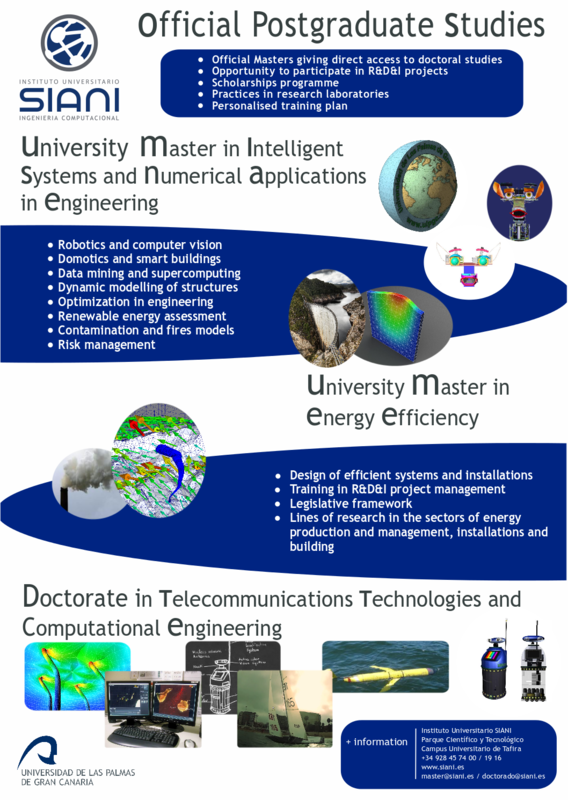 The Division brings together lecturers holding PhD qualifications who teach in the areas of Industrial Engineering and Telecommunications. At the beginning, the Discretization and Applications Division is composed of a University Professor, two University Teachers, a University School Professor and others who collaborate in research tasks or who are in training. Mesh of finite element models generation. Adaptive proccesses of 2D and 3D refining/unrefining. 2D and 3D Delaunay triangulation. Tetrahedron meshes adapted to irregular topography. Numeric analysis and evolutionary convection-diffusion problem resolution. Microstrips transmission in a dielectric medium lines settings evaluation. Wind fields simulation and atmospheric contamination. Elasticity problem analysis by singular elements usage. Error estimation and indication in finite elements method. You can see further information in our website.